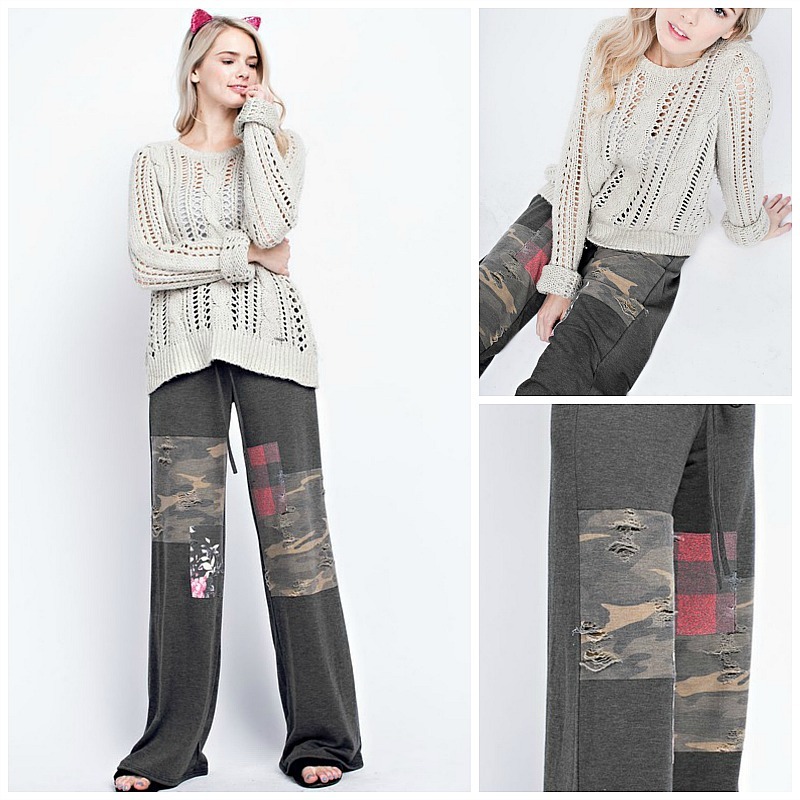 French terry distressed, wide leg pants in a solid charcoal with patches in camo, floral, and plaid. Casual and comfortable with adjustable drawstring. Very distressed but not see through. Model is 5'9" waist 24, hips 34.5 wearing a size small.